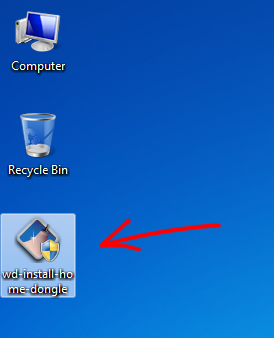 - The instructions below will cover how to use WipeDrive Home using the Windows Executable method. 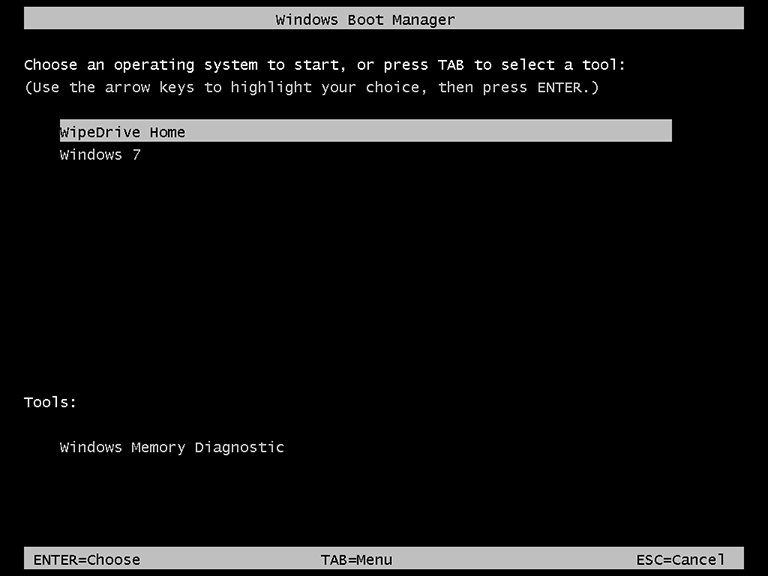 If you are trying to run the bootable CD before Windows begins, please check this article. Step 2) Once you have your Cloud Activation Code ready, go ahead and boot up the software. You can do this by double-clicking the setup file in Windows. Step 3) If you get a User Account Control message, simply click Yes. Step 4) The next screen will ask you for your Cloud Activation Code. Go ahead and enter in the Cloud Code exactly as shown in your e-mail, then click Next. Step 5) Select the drive you wish to erase, then click Next. If you need to erase multiple drives at once, we recommend using the bootable CD method instead. See this article for more information. Step 6) Select the type of wipe pattern to use, then click Next. Step 7) This next screen is a confirmation page. Please read through the information on this page carefully. If you do NOT want everything from your hard drive erased, you may need to look into other software titles we offer that are more selective in what they wipe. If you’re ready to continue, however, click Next. Step 8) When you’re ready to restart the computer and continue the process, click Restart. Step 9) You may see a few prompts when rebooting your computer. 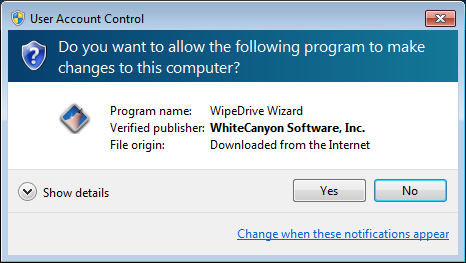 When asked to select between WipeDrive Home or Windows – or WipeDrive Home or WipeDrive Home Text Mode – simply select WipeDrive Home. Step 10) Your drive is now being wiped. Step 11) When the process is finished, you will see a results screen like the one shown below.